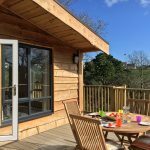 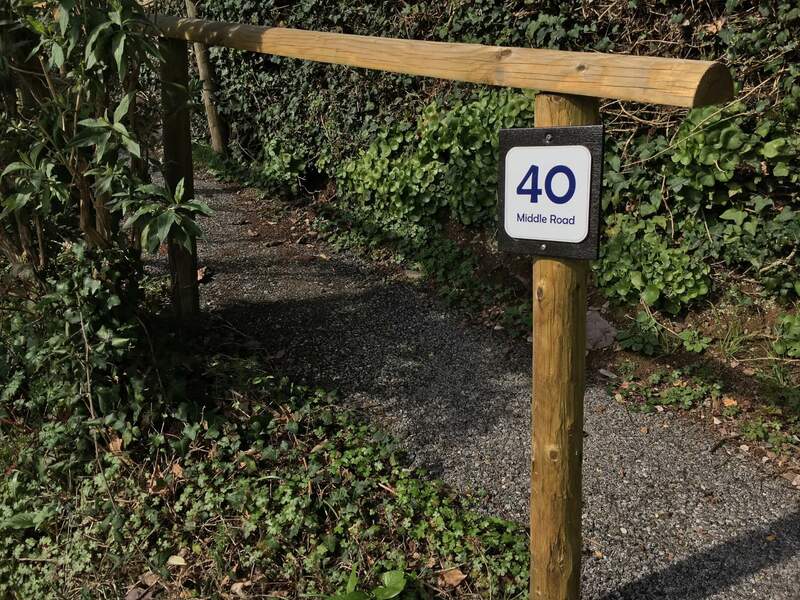 A two-bedroom Pinelodge in a central position at Churchwood which enjoys views of the valley that leads down to the sea and with an open aspect that provides plenty of sunshine on the private patio. 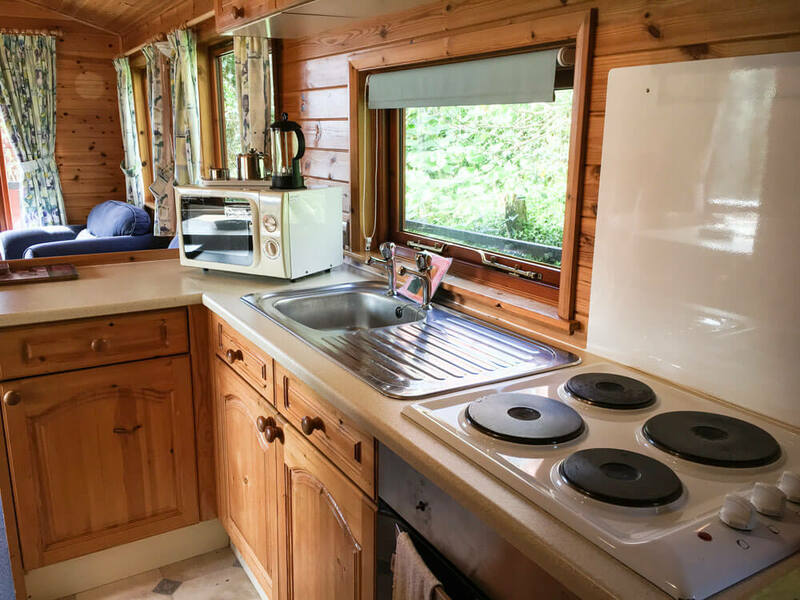 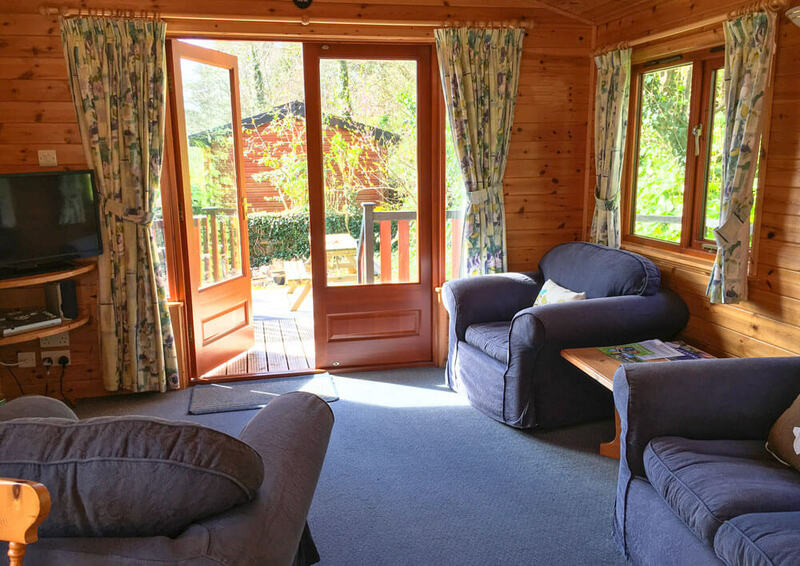 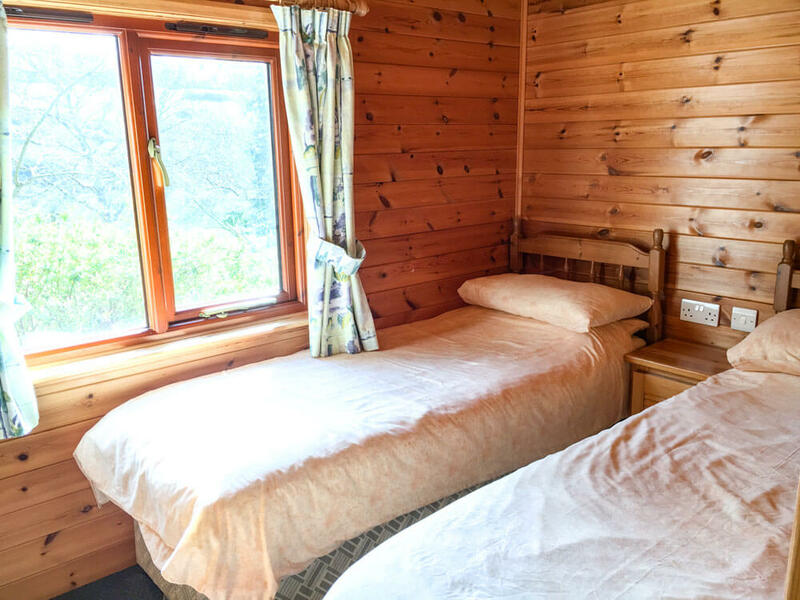 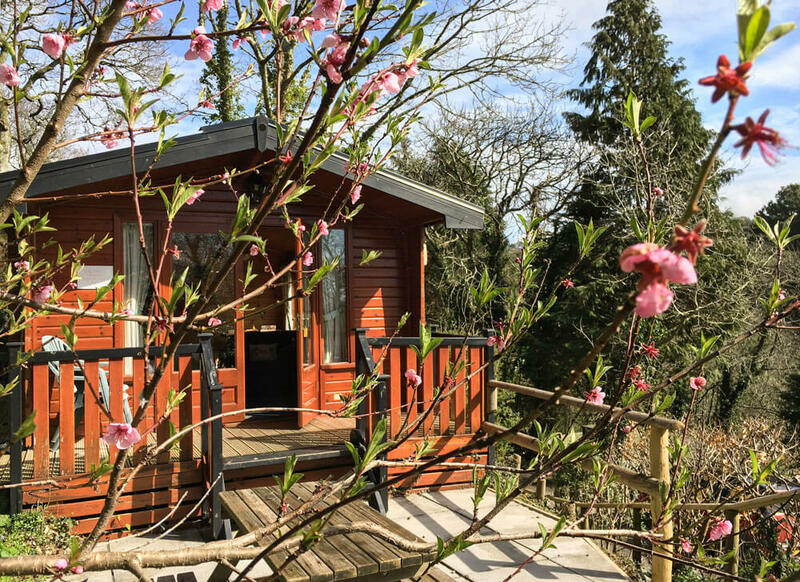 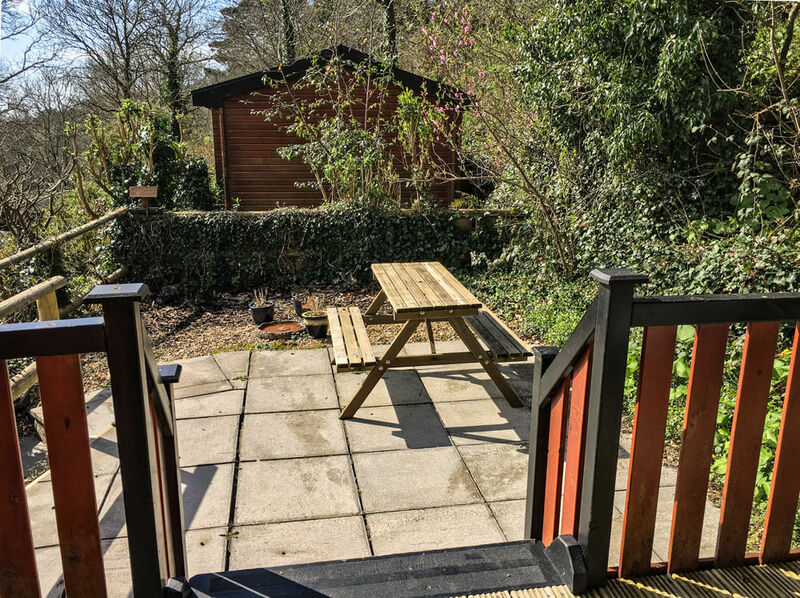 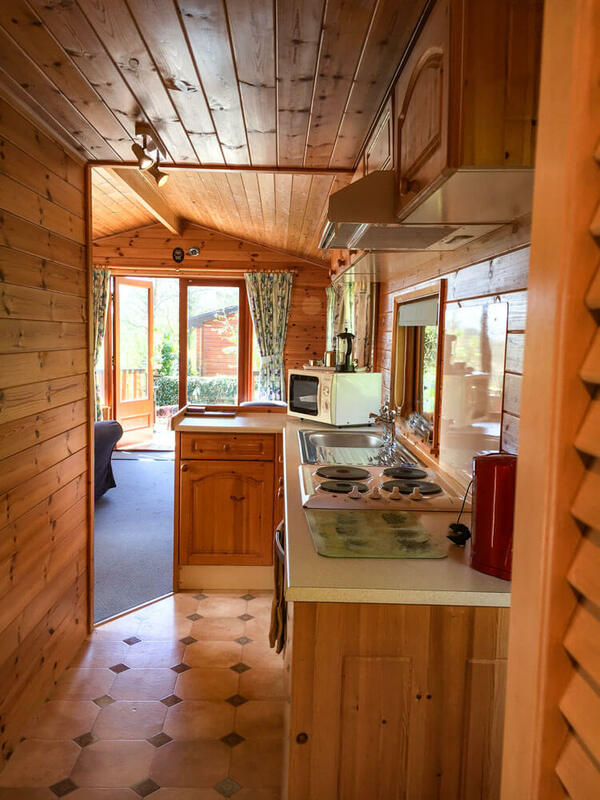 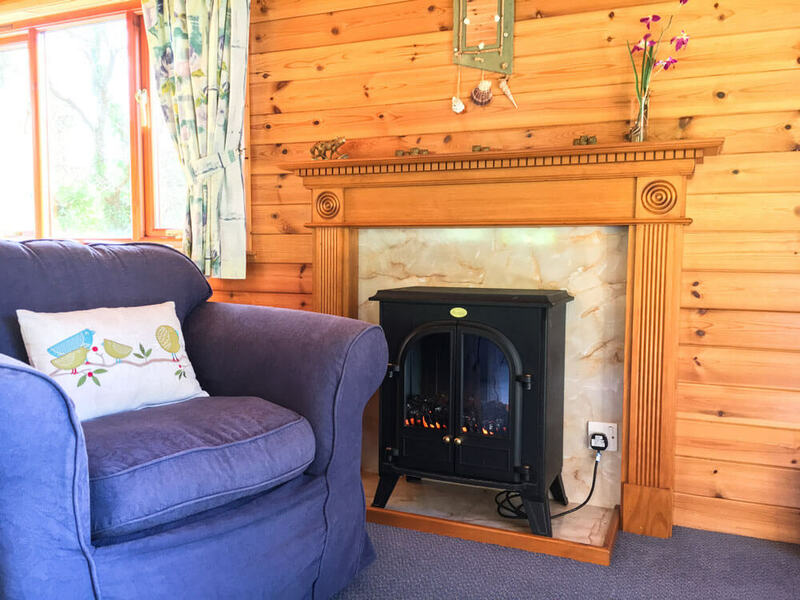 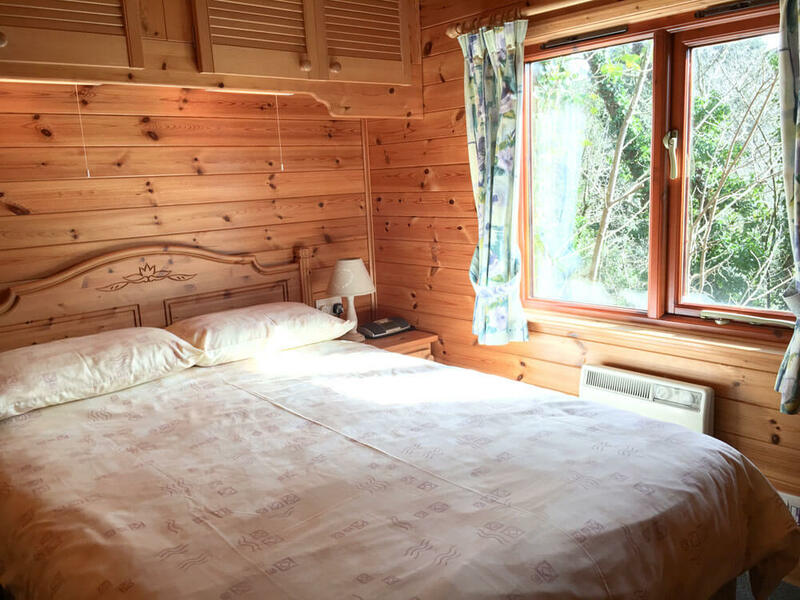 This lodge has a well-equipped modern kitchen next to the dining area and the sitting room. 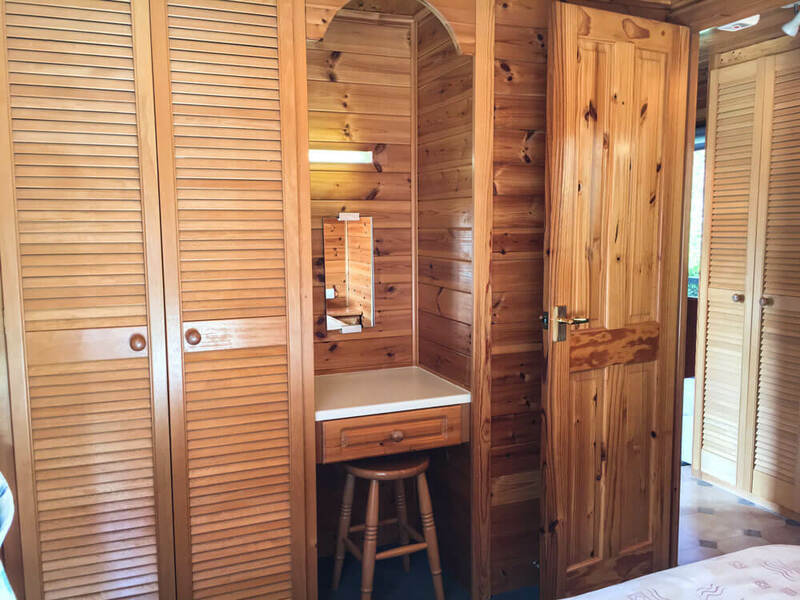 Both bedrooms – one a double and the other with twin beds – have good sized wardrobes. 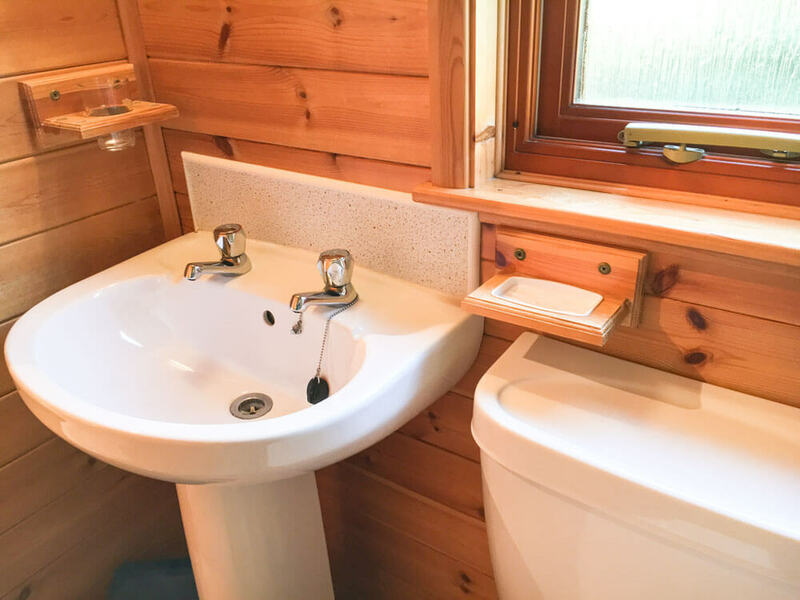 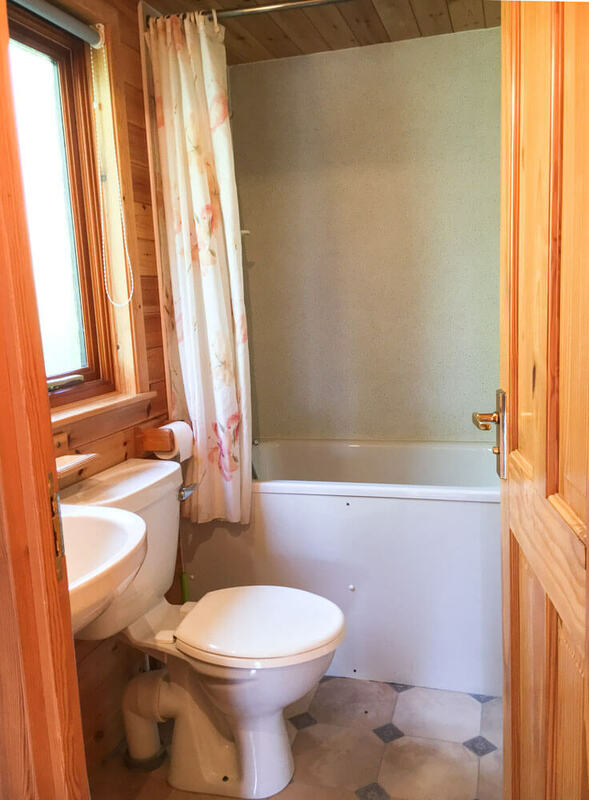 The combined bathroom and toilet has a hip bath with an electric shower over. 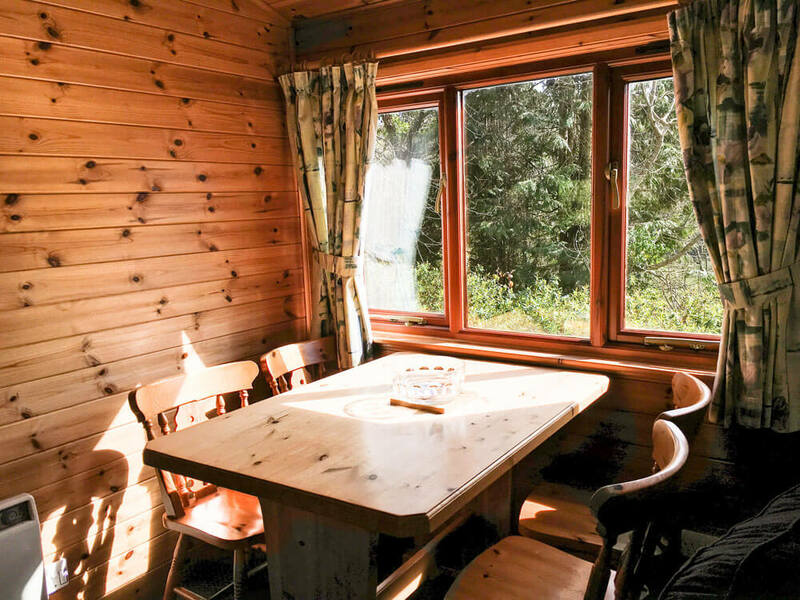 Price is £77,500 and the license runs until March 14th, 2032.